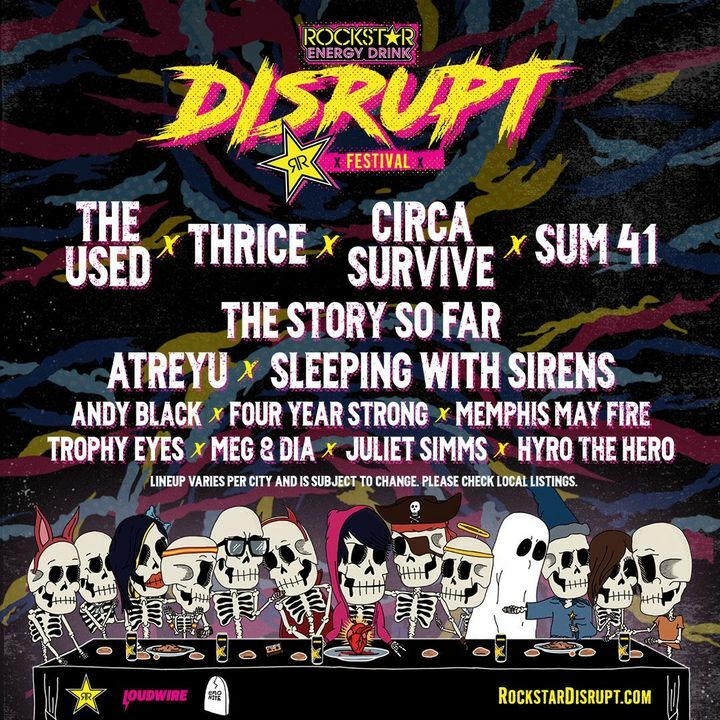 Tickets and VIP packages for the first ever Rockstar Energy Disrupt Festival are on sale NOW at https://rockstardisrupt.com. We’ll see you this summer! Amazing show, two rows from the front and even after all these year they still bring my happy and sad out all at the same time! Love you the used! They fkn killed it!! First time seeing them. Love the energy and they did a fkn death wall!! Didn’t see it cuz I was too far off to the side but I wish I could have been in there. Chose watching them over senses fail. I was torn because they were both at 6 but I was not disappointed. The Used always put on such amazing shows. It's great to see them year after year and they still have it!! My only complaint is that I wish they played for a bit longer but I'm sure this what everyone wants! So, not a fan of glassjaw. Wished I had gotten there later. And I love Bert's voice and his performance was awesome but we wished they played more songs we knew. It had to be the mellowest concert we've been to for sure. Glad I got to check them off my small list of bands I want to see live. The sound was good but the venue wasn't all that great. Limited area in front of the stage. Some people came from the beachside and walked through the ropes. Security was ineffective and lazy to say the least. But the performance was good but short.